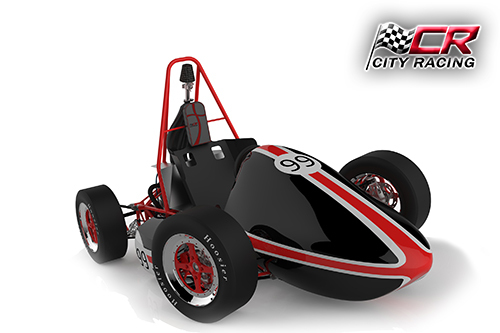 City Racing Team's CR14 racing car will be competing in the IMechE Formula Student competition from 10th-13th July. 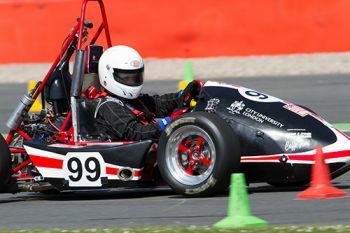 The City Racing Team (CRT), and its car, the CR14, will compete in this year's IMechE Formula Student competition at Silverstone, Northamptonshire, from 10th-13th July. 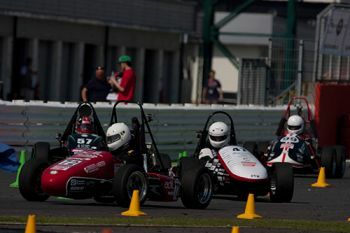 The annual Formula Student competition, organised by the Institution of Mechanical Engineers (IMechE), is the world's largest student motorsport event. Aspiring engineers have to design, build and race a single-seat racing car which is judged on its speed, acceleration, handling and endurance in trial races. The teams are also tested on their costing, business presentation skills and design. This year, the 25-member team, comprising 3rd and 4th Year Automotive and (for the first time) Aeronautical Engineering students, is divided into Chassis, Suspension, Powertrain, Drivetrain and Ergonomics groups. "Given the marked improvement in the performance of the CR13 last year, the team focussed its efforts on refining the performance of the vehicle, rather than produce a complete vehicle redesign. In the chassis subgroup, the design effort has been directed towards improving the driver cell and suspension geometry. Large weight reductions have been achieved, reducing the un-sprung mass of the vehicle. The addition of a Drexler differential and extensive Ricardo Wave analysis on the Powertrain has also resulted in significant performance improvements for the racing car. All of the effort and hard work that has gone into the design means that the CR14 will be the best vehicle in the history of the City Racing Team." "City automotive engineering students are entering their CR14 racing car into the prestigious Formula Student competition held at Silverstone from 10th- 13th July and the judges are looking out for the best vehicle in terms of design, built quality and engine power. The students have worked tirelessly this year and key to their success has been the team dynamics and excellent planning. For the first time, they are also supported by students at the Sir John Cass Business School in their business presentation. The students greatly appreciate the support of City staff and resources of the School, without which their success would not be possible." Last year, the team's CR13 was judged 15th overall among the UK teams. City Racing Team was also 24th overall in the endurance test and made the 19-car Parade Lap.